It is no fairy tale that many students gain admission but only one emerge successfully as the best graduating student. Do you know why? It is because such successful students have come to understand that there are certain habits that must be strictly adhered to, for academic excellence. These habits are what I am about to open your eyes to without reservations. To be an excellent high school, college or university student, there are certain poor habits you need to drop like trash! Similarly, there are exceptional habits you need to imbibe day in and day out to become part of you. These success habits are what differentiates a student struggling to pass exams from a student excelling effortlessly. They are habits that push you to cross over that thin line between an average B and an excellent A. If your hands are not too busy, you can pick up your pen and note down these strategic habits I am about to show you to become a successful high school, college or university students. It works for all categories of students, anyway. Pressure makes you understand less. Pressure is a contrasting force that makes you want so many information than your brain can absorb easily at the moment. You only end up reading to absorb temporarily and if you are asked about what you just read, it may take you several minutes to recollect. Why? Because you read under pressure, you rushed, you didn’t take your time, you want to cover your booklet within the limited time you have within your grasp. It does not work that way. Keep calm. You need to understand how to read to absorb at your convenient pace and that will take me to habit number 2 habit of successful students. Do not wait until the exam timetable of your college or university is pasted before you get a motivation to read. Instead, motivate yourself to read as early as the semester or term begins. Read it without the pressure of having to think about how prepared you are for the next day’s exam. When you read in this manner, you tend to enjoy every bit of it. You can even make a game out of it, play music to take a break and take enough time to ask yourself about what you have gained at the end of the day. As a studious student, after you might have finished reading, you should jot down what you have assimilated in a separate book. That is how to be successful at what you do as a student in school. You could name the book whatever you deem fit for it. Examples are my preparation book, my memory book, my success book. What you write in the book is what flows out of your mind naturally; it sticks better because you wrote it from the understanding of what you have read. Now, compare what you have written in your success book to what is in your lecture note, if it is not out of line or context, then you are a genius already. To become a highly successful student in high school, college and university, you need to learn to read at length. Reading for eight hours or more is no big deal as long as you have your goal in mind. Your goal here is to be a highly successful student. However, when you get tired of reading, you could take a short break; make a call, chew on something, chat with a friend online, stretch your legs, take a selfie (Lol. ), then continue from where you stopped until you have exhausted the number of hours you planned to use. You must have covered or almost covered your lecture notes by then. It is a known fact that asides you, there are other serious-minded students in your class. Amazingly, these people are like-minded when it comes to academic goals and they also love to discuss with people who think in their direction. It is your obligation to discover such people in your class. Most of them are not the loud extroverts that you see hanging around the classroom all the time, they spend more time in the library or to themselves; they use their time judiciously and ensure they are not distracted by too many events. Reach out to them, know what they are also working on, rub minds together on your latest findings and it wouldn’t be bad to become a friend to a fellow outstanding student. Remember, birds of a feather flock together. Your lecturers are paid to teach you what you need to know as a student. You need to open up to them if there is something you do not quite understand about their lecture notes or explanations. Visit their offices to know more about what you were taught in class; you could go with a friend if you do not feel comfortable going alone. This will portray you as a serious-minded student to your lecturer and he will be willing to spend more time explaining the details to you. All you need is to assemble your thoughts together and know why you want more explanations before you finally show up in his or her office. At the end of the class, you could also go ahead to do your personal research using library books or online information such as Quora. 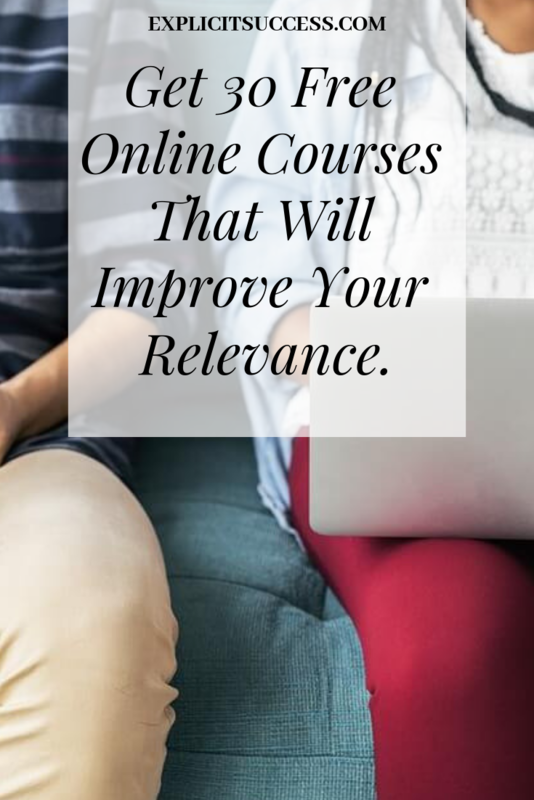 Valuable and useful information now fly everywhere on the internet, pick two or three online sources and add their examples, definitions, charts, graphs, pictures, explanations and illustrations to whatever has been given to you in class. If you prefer to use the library, pick books related to the topic and read wide, compare and contrast, add to the knowledge you already have and pen it down into your success book. With this, when your lecturer sees the extras in your exam sheets, he will be quite impressed that you went further from what he has given. The truth is, no lecturer or examiner will see such extra work and not try to take note of such intellectual student. You don’t understand something, ask questions. Are you confused? ask questions. You got a different explanation to your question, ask again. Your questions were roughly answered, ask again. The time is short to ask questions, just ask quickly. You do not feel good with the analysis, ask questions. A different view from everyone else? ask questions. Heard something similar to the crux of the matter but a different approach was used, ask questions. You do not have an idea of the process or conclusion, ask questions. Bored with the class (Lol), ask questions. Asking questions helps you to think more and be alert. There are other people out there too that are keen about becoming a highly successful student and all you have to do is to locate them and speak to them about the purpose of the group and its impact on individual members of the group. When you get a positive response, you can agree on a meeting spot and time for your reading schedules. It is also important that highly successful students in a group adhere strictly to the rules of the group to ensure its sustainability. If this doesn’t work for you as a person, that is, you don’t like studying in groups, you could forgo this idea. I understand we all have different things that work for different people. If given an assignment in class, do it on time. Research in the library and go online for more information on the assignment. If you do not know how to go about it, refer back to number 6 and number 8 of this article. If that does not help, refer to your reading group and discuss with others, who knows who might be of help in your group. Else, attempt the assignment in your own little way, it will shock you that you are on your way to getting it right or very close to the right answer because you did your own due diligence. This is the right process to become a successful student in school. No room for mediocrity. It is clearly evident that all courses and subjects have a marking scheme which the examiner uses to mark your scores and grade you. The marking scheme shows the gravity of the scores allocated. If a particular question gives you more mark, you need to give it more attention and ensure you get it right. If the time is not on your side, you need to ignore the questions with smaller marks and concentrate on the questions with bigger marks before your time runs out. Some universities and colleges have a printout of their marking schemes, which entails how a student should answer a question to get the full mark. If such printout is within your reach, get it and study it well to know how well to answer your exam questions when the time comes. Yes! Reading can be fun for those who know what brings them relief. For some, it is listening to music while reading and for others; it is eating while reading (Funny right?). At this point, you need to know what works for you, the target is to read as much as possible to cover up your notes and keep you well prepared for your tests, assessment and examinations. When you are well prepared for an exam, you need not to indulge in exam malpractice or feel inadequately prepared. Reading adequately is what makes you walk into the exam hall with your shoulders high. I have mentioned it severally in this article that you should strive to read the whole of your notes. Weak-minded students will say it is not possible but strong-willed students will agree with me that it is highly possible. Whether you think it is possible or not, your lectures will not spare you the headache of regretting how you almost read that part of your note that came out as your high mark question. Even the bible says whatever your hand finds to do, do it with all diligence. So read with all diligence, my pal. It is not a bad thing to have more wrong scores than right scores but learn from them so that you won’t fall a victim the second time. If after you receive your unfavourable test results, you still sit relaxed like nothing happened, then you are not ready to be a highly successful student. Smartness teaches you to learn from your mistakes and improve your acts. Work on your weakness and maintain your strength. After reading your notes, you should revise. Do this from time to time. It will make your notes fresh in your head. It gets easier as you do it more often which makes you an expert. By the time you revise for the last time, a few minutes to the exam time, your brain becomes photographic. Then the pages of your notes will play in your head like the popular prison break season film. Lol. For you to be a highly effective and successful student at any level of life, you need to repeat these habits day in day out. Make them a part of you. Make sure you do not feel comfortable when you don’t do them. Give attention to the details of your academics and you will see yourself climbing the ladder of success. Good luck to the successful student that you are. Kindly share with others.